1. Prepare equipment for encasing. 2. Please study how to wear a casing by yourself before buying a casing. 3. 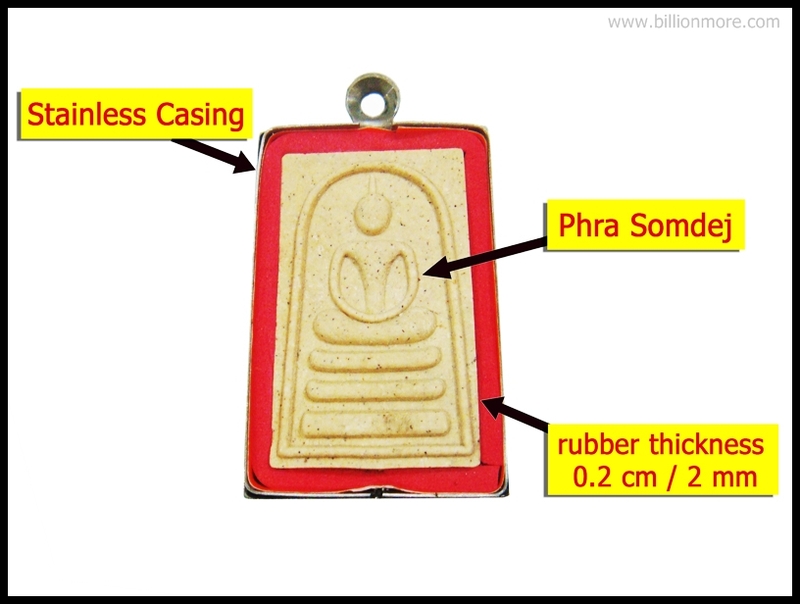 According to encasing, a sheet of rubber (thickness 0.2 cm/2 mm) must be inserted between the amulet and the casing in order to fix the amulet with the casing. 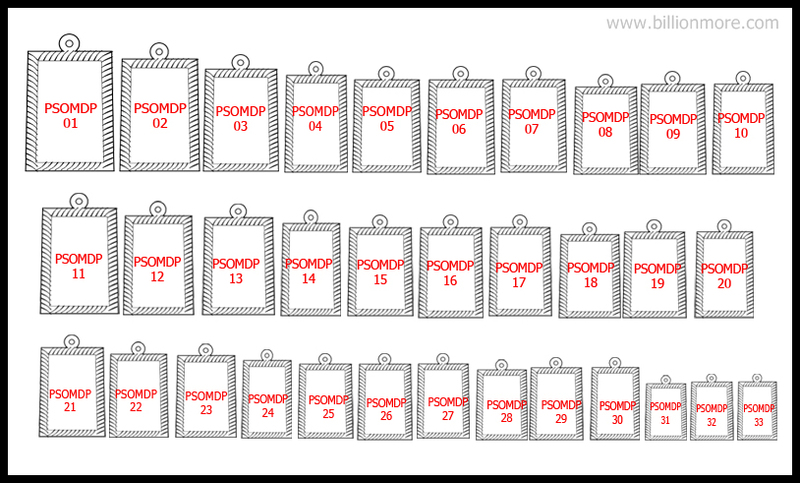 Therefore, before choosing the right casing you should follow these steps to prevent choosing a wrong size. 3.1. 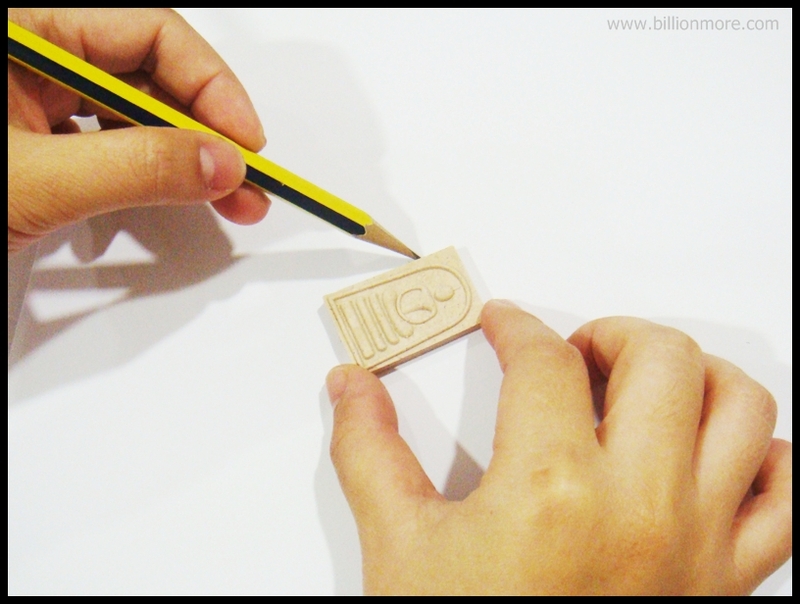 Put a real amulet on a paper and draw a shape. 3.2. Then measure a width and a length. **Remember that you have to add the size of a rubber sheet to your amulet and you will get the correct size for a casing. Example: Your amulet is 2.4 wide and 3.5 long. Then you add 0.4 cm (2 sides) to the width of amulet and add 0.4 (2 sides) to the length of amulet. So, the correct size for a casing is 2.8 x 3.9 cm. 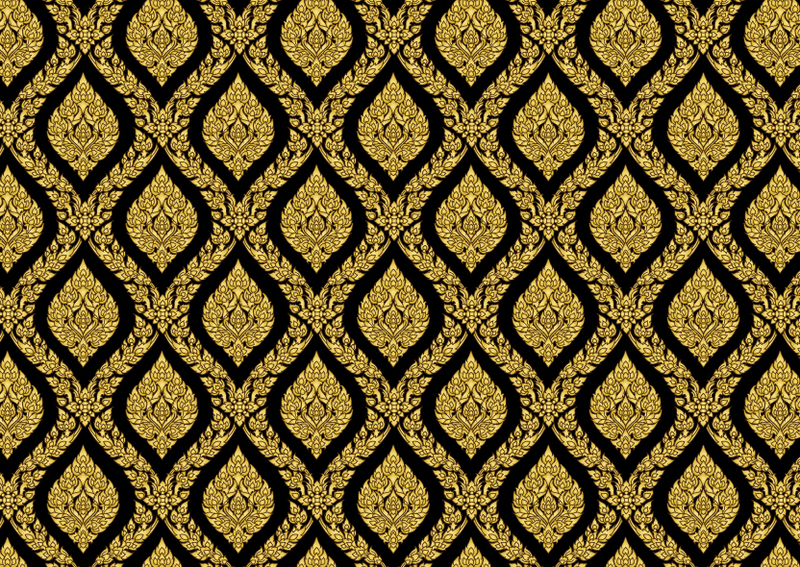 See-Liam Shape (Square) is a unique of Phra Somdej and Phra Phong. We have 2 types of quality casings: with pattern and no pattern. 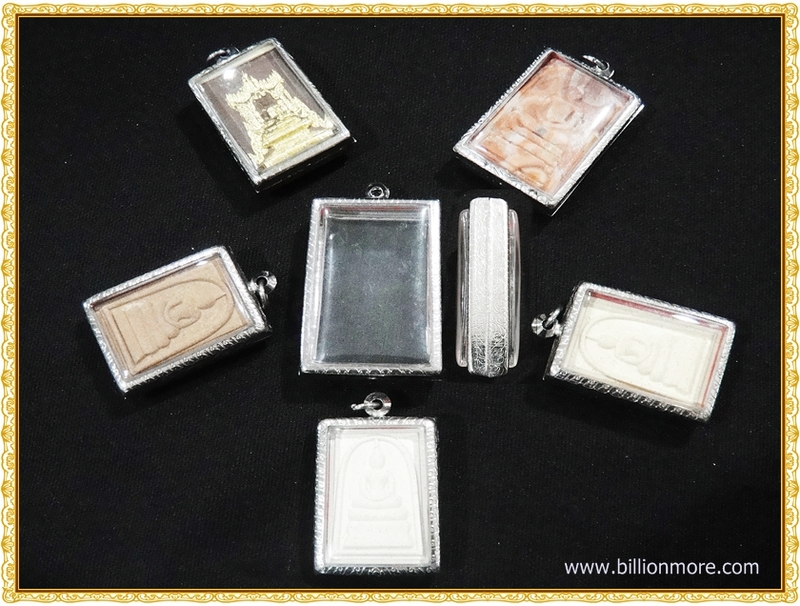 We present standard patterned stainless casing looking good in Thai style that is popular among young amulet collectors. We provide casings at a low price that customers can afford for their favorite amulets. 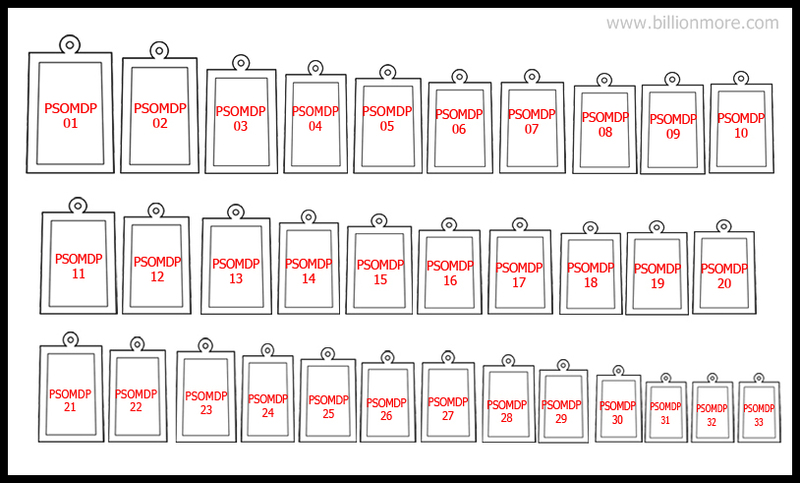 There are 33 available items in different sizes. 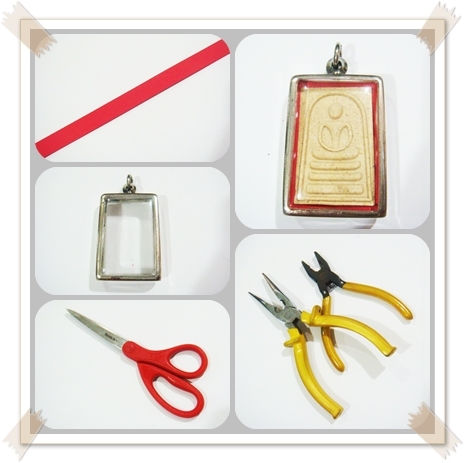 We present standard simple stainless casing that is popular among general amulet collectors. 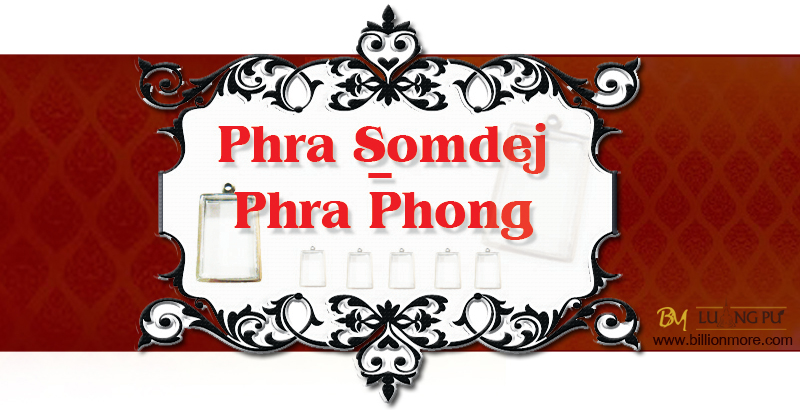 We provide casings at a low price that customers can afford for their favorite amulets. There are 33 available items in different sizes. If you have own design of casing and want to make it, feel free and email us at https://www.billionmore.com/spaw/luangpu@billionmore.com. 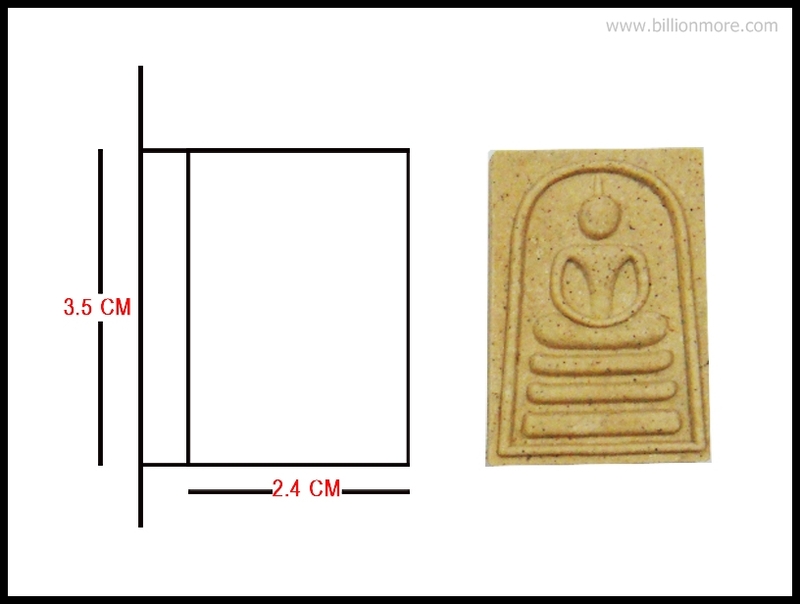 "Kindly be informed I have received my Leklai Phra Rod amulet yesterday. The amulet is clear & complete. "